A great way to begin your pyro habit is to start with small gift items. You can find inexpensive sets of wooden kitchen utensils about anywhere. I found these (made of beech wood) at Ikea for little more than a dollar a set. 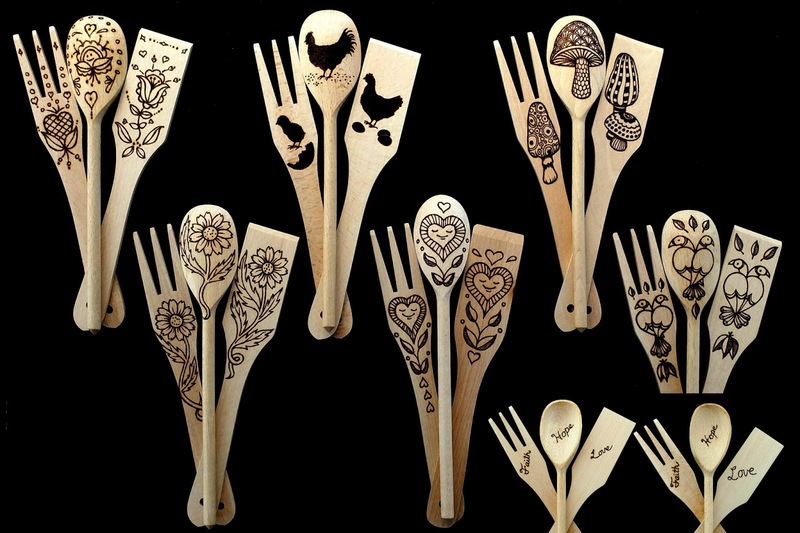 Find a small decoration that would fit on a spoon, lightly draw an outline, and start burning. They make great practical gifts and they'll attract attention at arts and crafts fairs too. You can also easily personalize them with the initials of the recipient on the handles.